Someone is ready for an event un SFO airport in this week, organized by Worldwide Airways ? 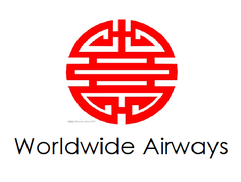 After a lot of month of reflexion I have decided to add two new aircraft on the Worldwide Airways fleet: The first is the Airbus A380-800 that is included in the fleet two weeks ago; and the second is an other Airbus... 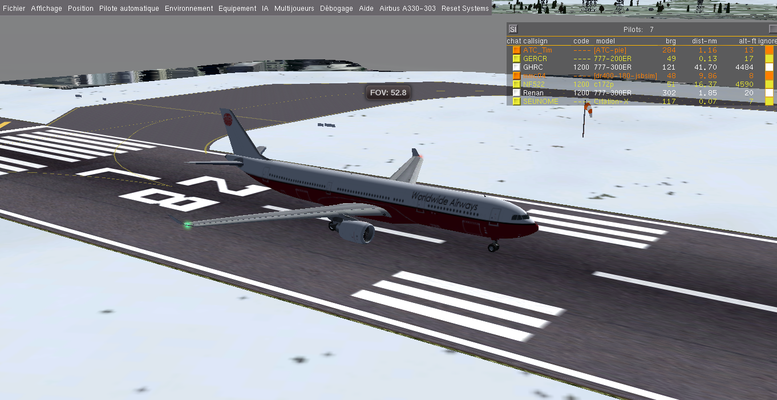 I present to you the new Airbus A330-303! 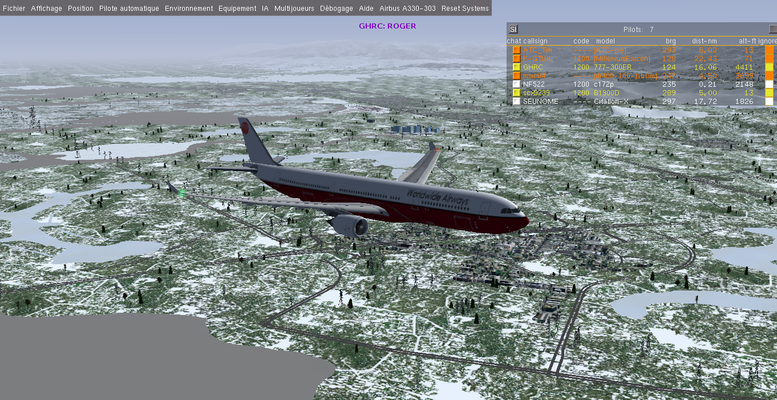 A medium-long range aircraft, and medium capacity transport. Now our fleet have five Airbuses and three Boeings: so a big part is composed by Airbus aircrafts. 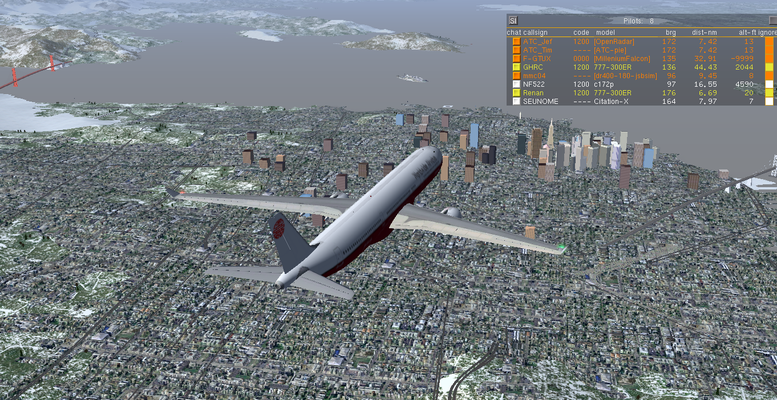 An inaugural flight will take place in the days to come from KSFO to KSFO: A flight around the city of San Francisco and its surroundings at medium altitudes. 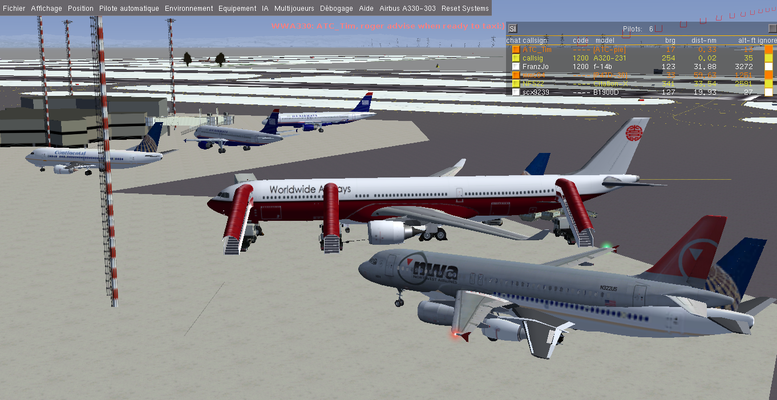 Everybody can join us in Flightgear multiplayer (FG COM) if you want. A lot of information will be given on this flight (time/date/hour...). Have a good day everybody! bye! 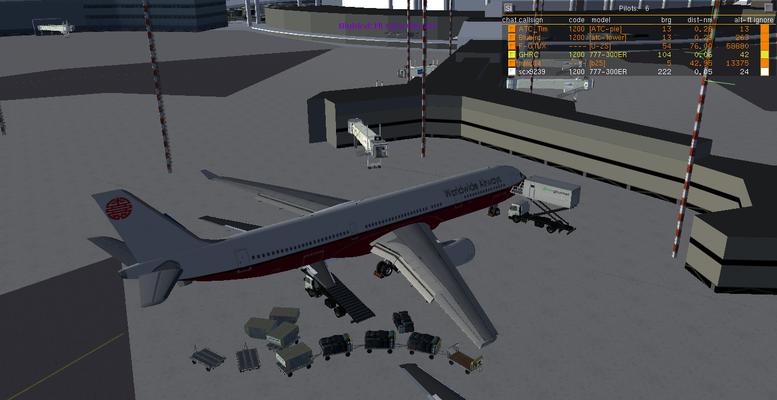 This is our new Airbus A330-303! 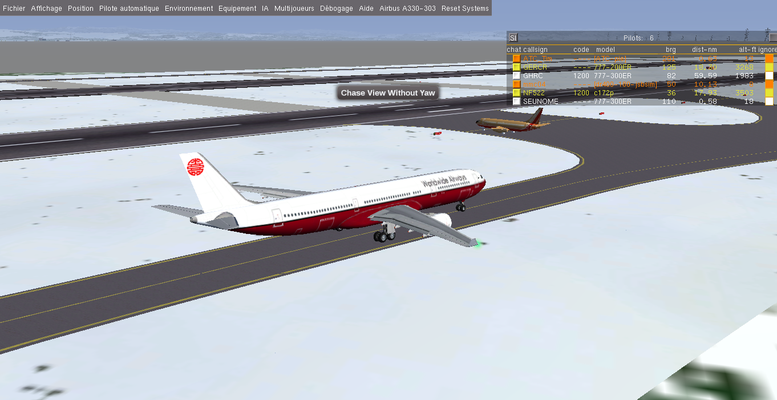 Of course everybody can join our event, see and follow our flight. 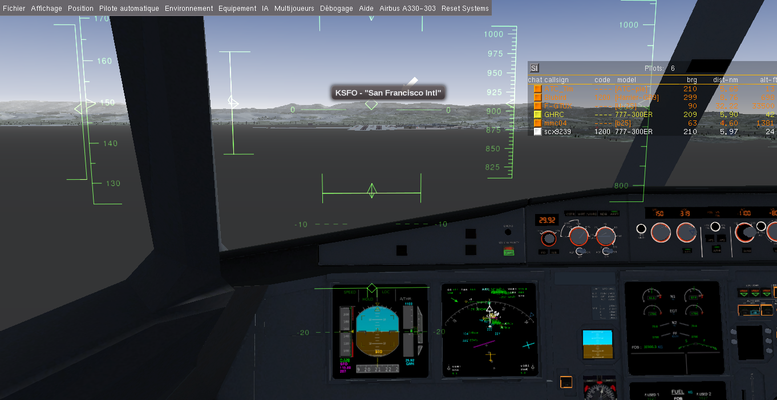 If the SFO controller is operationnal at the time, we use it. Thanks for your attentions, and i hope you have a good day! A lot of people was connected and talk with me, and an ATC controller was also connected! And after: puchback and de-icing: with the autorisation of the controller, he approved a low pass on the Airport at the end of the flight. Brillant! 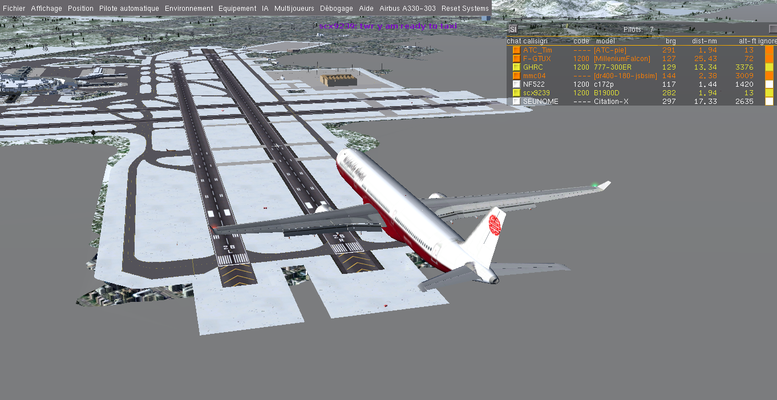 thanks ATC! Puchback complete and flight control! ready for taxi! 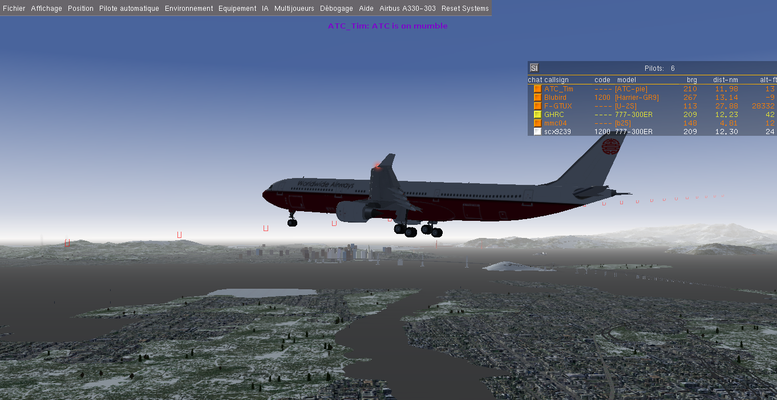 Now climbing, here is some pictures about the cruise: the SFO city. After; connecting to the glidescope and localizer, I have the permission to made a low pass on the airport to celebrate the enter of our plane in the fleet! Awesome moment! 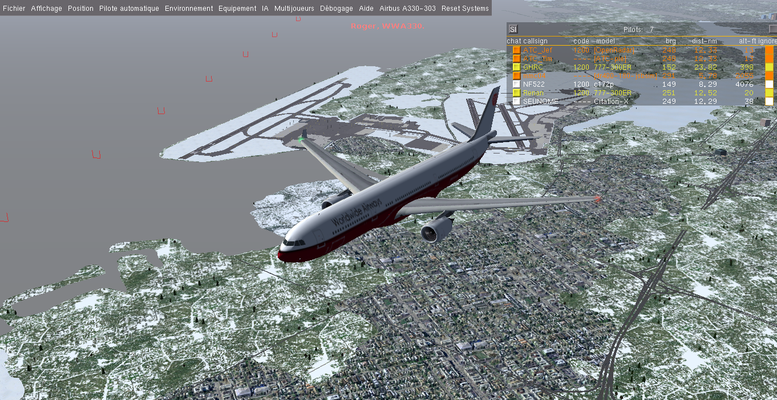 after the low pass, we turn right to align to runway 19R to land! 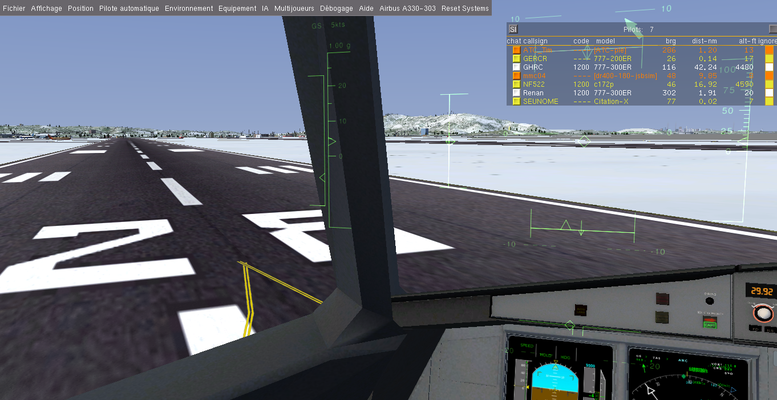 runway in sight, and soft touchdown! 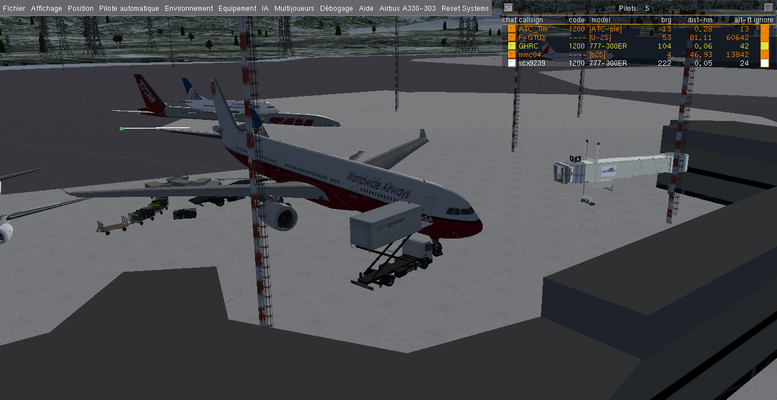 And finally vacated 19R and taxi to the gate! At the park, catering, and ground connection, schutdown procedure! 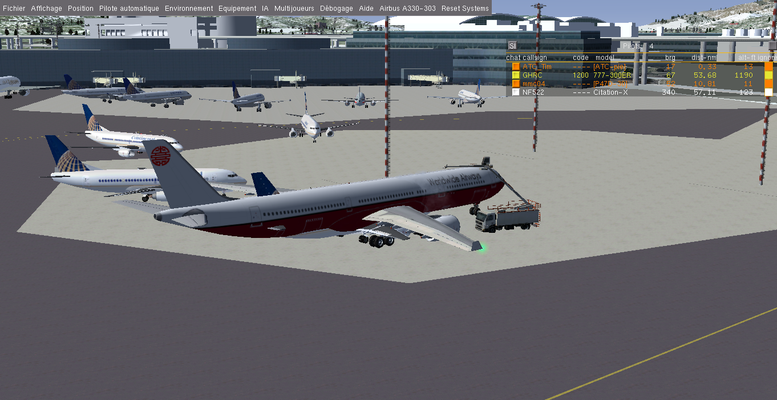 And at the end, deboarding! At 3 PM (00 PM French hour) this is the end of the flight, thanks everybody for help me and discuss, this is very kind of you! 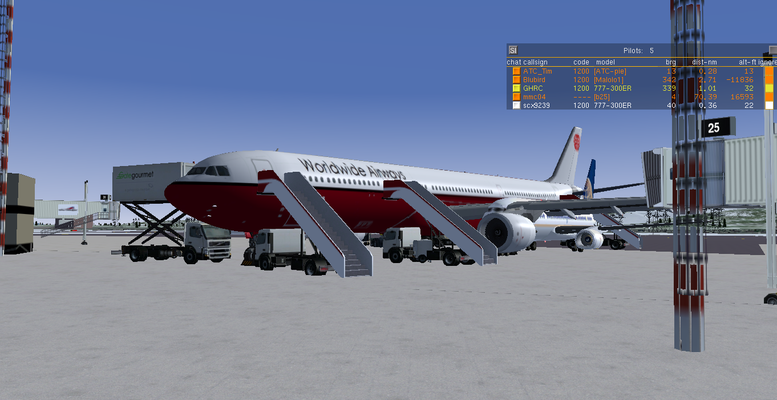 Everybody This flight has once perturbed at the time of the puchback, Flightgear has stopped working; but after that everythings has work good. 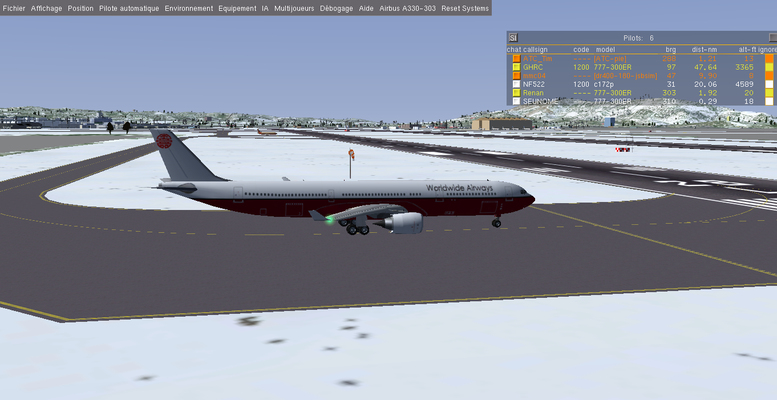 This flight was great good, thanks again to everybody and to the ATC controller for is help, precision, and kindness! Bye everybody, have nice weekend! thanks at once it's very kind of you Bye! Have a nice day! Last edited by Johan G on Mon Apr 17, 2017 1:10 pm, edited 1 time in total. Reason: Obfuscating the email address. Spammers trawl the net for email addresses. Hello everybody! 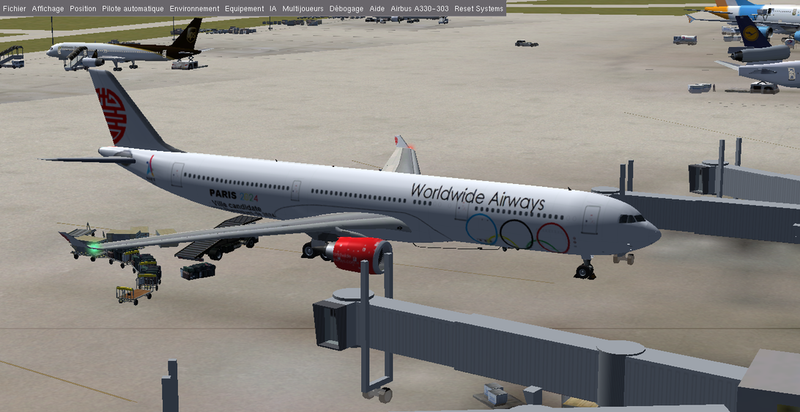 Today, Worldwide Airways create a new special livery for our Airbus a330! 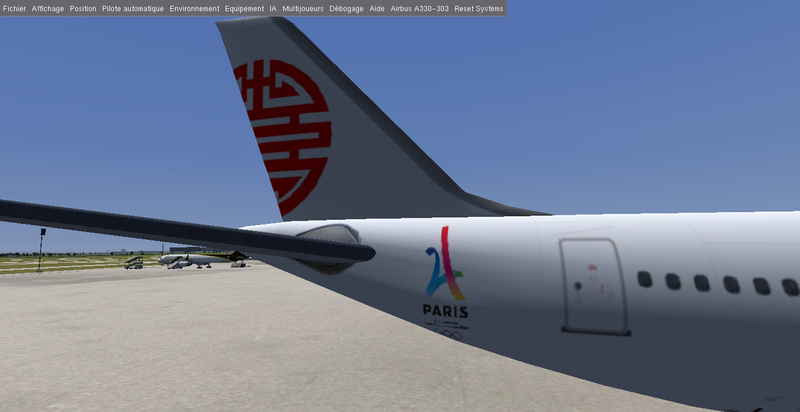 An Olympic Games livery to support the candidature of Paris city to the Olympic Games of 2024! NOW, WORLDWIDE AIRWAYS VA TAKE A FEET IN THE INNOVATION! We decided to replace our Airbus A318 and A320 by the new release of the Airbus short and medium haul twin jet: The A319 and A320NEO!! A new era in Airbus! 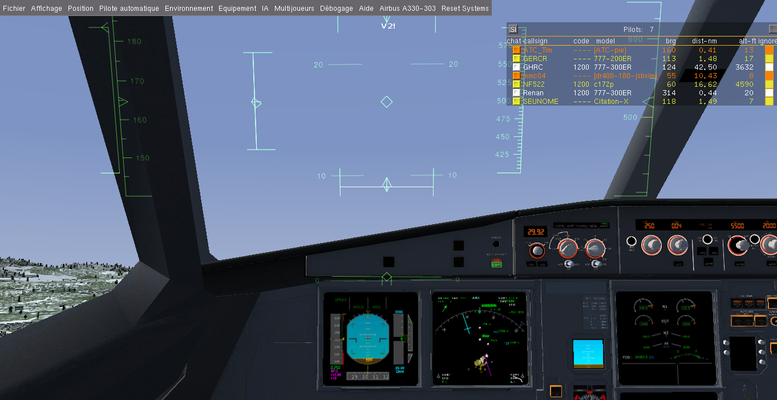 Theses aircrafts gives to the pilot a new functionnal and complete cockpit that is more beautiful and complete than the old Flightgear a320 Family addon: yes this addon works very well, but the new one is better ont the functions add, the exterior and interior model! (The FDM too). 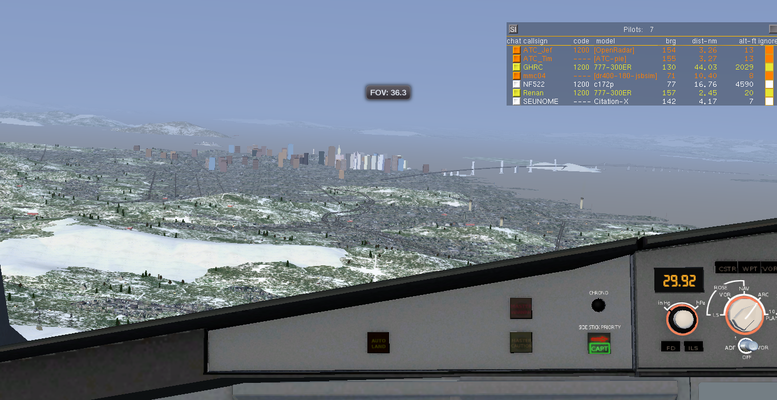 I think we'll do a farewell flight later for the A318 or 320. (I am sad for the tiny A318 but the A319 will be good also) But, more sure an inaugural flight for the A320NEO like before for our A330-303! I give to you the informations about this flight later. So, keep relax, and enjoy the Flight! Bye everybody, have a nice day! May I kindly suggest my Airbus' instead? They are still being maintained and developed actively, and are quite realistic. Remember to remove -master from the folder! it0uchpods wrote in Mon Oct 30, 2017 7:57 pm: May I kindly suggest my Airbus' instead? They are still being maintained and developed actively, and are quite realistic. I just need the livery for one of them! 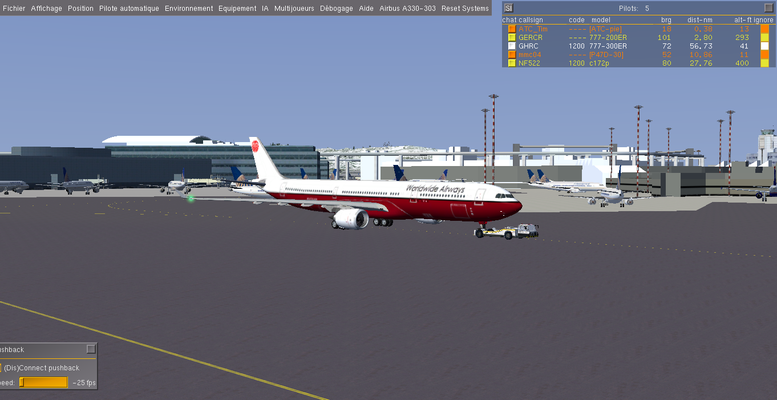 (the A319) but i think the 320 would be good! So thanks once again! 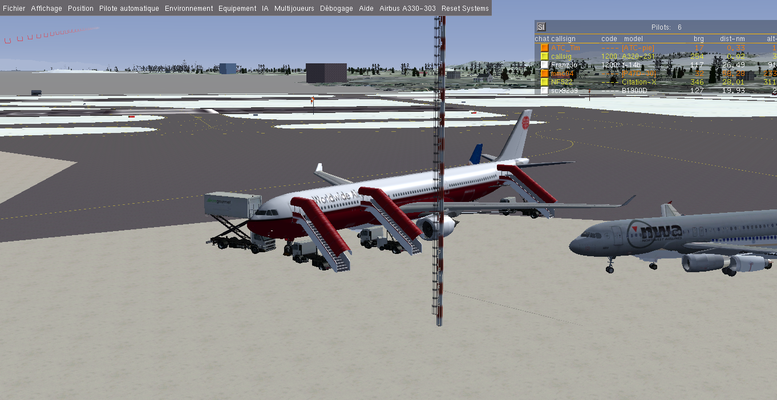 My A320 includes neo and non neo versions, and my A330 includes 200 and 300 versions.